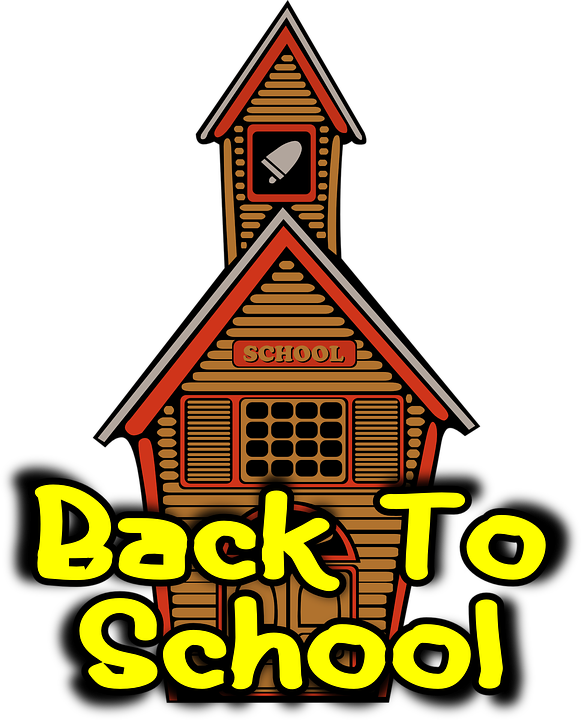 Back to School night is a time-honored ritual where teachers and parents meet, with or without children, and preview the upcoming school year. Teachers share information about their teaching style and methodology, how they grade, what students can do to thrive, and how parents can connect to classroom activities. 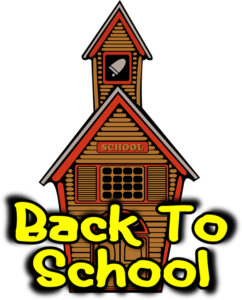 It’s a way of easing everyone back into the education journey after a long summer break and is arguably one of the most impactful days in the school year. The most important goal of Back to School Night — establishing the parent-teacher partnership — is a lot more complicated to reach than it used to be. So how is this accomplished? Start by sharing information in ways that don’t rhyme with “‘PowerPoint” or “lecture”. Then, for activities like volunteer sign-up, Q&A, and exploring the class, use the exciting digital tools that students will use to achieve their goals. Parents will go home energized about the class, proud of their “insider knowledge”, and ready to support your efforts. Invite parents to BTS night with a splashy flier that looks like you spent hours preparing but in fact, will take less than ten minutes. 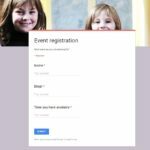 Using free editable templates from free online webtools like Smore, PicMonkey, or Canva, you can make quick invitations that can be sent out as images, PDFs, embedded into newsletters or school websites, or shared out through social media like the school Twitter feed. That means no PowerPoint. Show your teaching is up-to-date and cutting edge by using a tool that is. If you really must have a slideshow-type presentation, try Canva or Tackk (the same tools suggested for the invite). You may already know how to use those so it’ll be quick to build visuals to back up your presentation. Better, use a digital storytelling tool like Little Bird Tales or Sway. Start with “Welcome” and move through the year’s-worth of information, ending with “They lived happily ever after” (or something that fits you). For parents of youngers, display a webtool like Bouncy Balls or Calmness Counter that measures classroom noise. Put it on the class screen at the start of the evening but don’t explain it. During the evening, call it to their attention occasionally as a metric for group noise levels. At the end of the night, point out how these tools controlled the noise level without requiring nagging or begging by the teacher. Ask for one individual to take quick notes about the topics covered — no need for the detail. If parents have questions that require a deeper dive, they’ll come to the teacher. The volunteer will use the word processing program students will use (probably MS Word or Google Docs) or an art program like Paint. At the end of the evening, share the link or image out with parents. If you think it’ll be difficult to get a volunteer, it won’t. You probably have a few parents who want to be Room Mom and a few more who see themselves as geeks. They’ll all be eager to help. Feel free to have them collaborate. 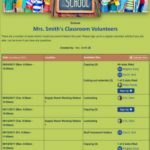 If you need volunteers for Room Mom, Class Pictographer, Field Trip chaperones, or something else, have these sign-ups available. This is best done via a webtool like Google Forms or SignUp Genius that will collect answers, curate them for you, and make the information available for reference to signees. Display the form on one of the class computers so parents can fill it out before they leave. For parents who can’t wait, share out a link to the parent mailing list. This might be a dedicated class Internet start page, a blog, or a website. This is where parents find your contact information (email, phone number, and relevant social media), class activities, class calendar, upcoming events, homework, discipline protocols, student pictures, and everything else relevant to the educational journey. Parents come to Back to School Night with far more questions than any teacher can answer. This webpage addresses those you can’t get to during the evening. At some point during the evening (or in a form you display on one of the class computers), ask what parents would like to find here. Practice accessing it if there’s time. Have the page available on one of the class computers so parents can try it out before leaving for the evening. Answer as many questions as possible but know that there usually isn’t enough time to answer all of them. Have parents enter their question onto a webtool like Padlet, a virtual wall that requires no login and is easily displayed on the class screen. Post it interactively on one of the classroom devices. Share out the link (to an email list or on the class website) so parents can see the Q&A. Even after Back to School night, encourage parents to add questions to this virtual wall they didn’t think of before. Make a point of answering these the next day. Suggest that if parents see a question they know how to answer, do it! You never have a second chance to make a good first impression. This is as true today as when Will Rogers (was reputed to have) said it. Make parents your partner this school year. Their participation will make a huge difference in the child’s success. Take advantage of that.